No author wants to be sued, but since self-publishing has become so common, writers who work-for-hire are particularly vulnerable. Self-published authors are not likely to consult with an agent, publisher or attorney who can ring the alarm about libelous descriptions, failure to obtain permissions, obscenity, or writing that could potentially intrude on someone’s right to privacy or publicity. Many self-published authors haven’t been sued only because they never sell enough books to bring any attention to the legal potholes in their material. So where do you, as a writer-for-hire, fit into the legal landscape when the person paying you gets sued? Writers who sign the average work-for-hire contract, whether or not they receive credit for their work, will be asked to promise that what they write is truthful and accurate. In some agreements, they may even be asked to guarantee that their written contribution will not cause anyone in the world to sue the Author or the writer-for-hire. Some of these contracts also require the writer-for-hire to promise to pay for the Author’s legal defense if the Author is sued because of the work’s content. Like a flight captain, the Author is entitled to make all the final decisions about the content of the work—decisions that could lead to a lawsuit. The writer-for-hire, no matter how influential she is over the Author, is merely a co-pilot. This is somewhat ironic considering that a professional writer presumably performs writing services for numerous Authors and is more likely to be aware of potential legal issues associated with publishing than the Author who engages her. So what can a writer-for-hire do to protect herself? First, the writer-for-hire should include a provision in her contract with the Author that requires the Author to obtain pre-publication review of the work once it is substantially completed. This provision should be included whether you ask the Author to sign your own work-for-hire contract or you add the terminology to the Author’s contract. A pre-publication review can be performed by a literary or entertainment attorney or a publishing professional who is familiar with those laws that address libel, permissions, publicity, privacy and obscenity. After interviewing the Author and the work, the reviewer determines whether or not there is any content that would give a third party reason to sue the Author and, possibly, any writer-for-hire who performed research and writing services for the Author. Second, the contract should also entitle you to receive a copy of the reviewer’s conclusions and any suggestions for revising the work. 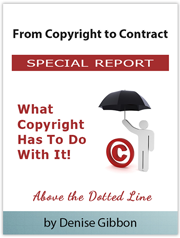 You need to be as knowledgeable as the Author about what parts of the work are vulnerable to a lawsuit. Third, you want the Author to agree to take the advice of the pre-publication reviewer or, if the Author questions the reviewer’s analysis, to seek a second opinion. The point is to make the Author aware that if certain passages in the work could trigger a legal minefield, you want them to take full responsibility for disarming the bombs that are most likely to explode. So does adding these provisions guarantee protection from a lawsuit? No. But if your Author is not sure about whether he will self-publish or not, it can’t hurt to have these safeguards in place and increase your own peace of mind. For more information about the Association of Ghostwriters, see www.associationofghostwriters.com.